Maserati will base the Levante SUV on the Kubang concept, shown. Maserati plans to unveil a production-ready version of the Levante SUV at the Detroit auto show in January ahead of a production start in March, according to reports. The Levante will give Maserati a foothold in a rapidly growing segment for luxury crossovers that includes the Porsche Cayenne and the Range Rover Sport and will expand with upcoming models from Bentley, Aston Martin and Rolls-Royce. Maserati's crossover will be offered as a five-seat model only and presented as a practical and functional everyday car that offers high levels of luxury, reports in the motoring press said. Maserati did not respond to questions concerning the reports. The SUV is a key part of Fiat Chrysler Automobiles CEO Sergio Marchionne's plan to boost Maserati's sales to 75,000 in 2018 from 36,500 last year. The U.S. is Maserati's biggest market with sales of 12,943 last year. 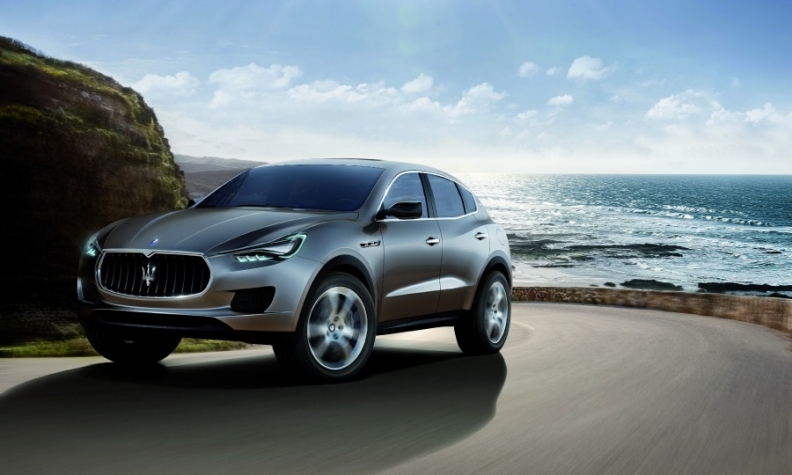 Maserati plans annual production of 25,000 units of the Levante at its Miafiori plant in Italy. Reports say the Levante will start at about 90,000 euros ($101,000), with the top model costing close to 200,000 euros. The SUV will be available with a V-6 diesel engine and Ferrari-built V-6 and V-8 gasoline engines that will offer up to 580 hp, reports said. A plug-in hybrid variant will follow. The Levante will be underpinned by the modular platform currently used for the Ghibli and Quattroporte sports cars, reports said. The Levante was previewed by the Kubang concept first shown at the 2011 Frankfurt auto show.